Lightstep #3 Review – AiPT! If the soul of Neil Gaiman’s The Sandman collided at the speed of light with the original Star Wars, this series would be the end result. Lightstep continues to defy my expectations of a science fiction comic. If the soul of Neil Gaiman’s The Sandman collided at the speed of light with the original Star Wars, this series would be the end result. Warning: Spoilers for Lightstep #3 ahead. So you have my attention. Lightstep continues the bizarre journey of protagonist January Lee and her new “friend,” Jazzman. While ostensibly following their odyssey, there are numerous cutaways throughout the book, building on the world while at the same time contributing to what appears to be a bizarre cosmic mystery. In true sci-fi fashion, all these pieces have been laid out across past issues and will likely only make sense come the inevitable conclusion. Perhaps it is a bit jarring to bounce around back and forth (especially considering the apparent time difference involved), but that does not drag this issue down completely. The meat of the issue still manages to stay on track, even merging the best parts of a standalone story and the greater narrative. The issue takes place on a world on the brink of a religious apocalypse while our protagonists seek out a certain priest to save from the coming doom. For what reason is maddeningly unexplained, but Milos Slavkovic keeps the story rolling not only with amazing art, but superb world building that in a few pages tells you all you need to know about this particular world and what seems to be happening. There are actually some rather interesting explorations of faith and how it seems to be the reason everyone on this planet is so eager to embrace the end. Sadly though, this issue proves that its greatest strength is also something of a weakness. 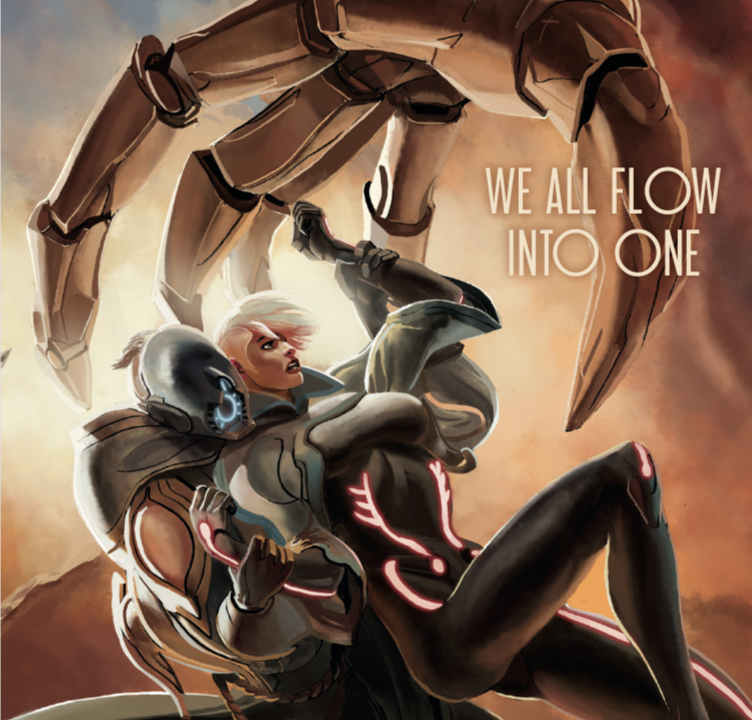 Great space operas run the risk of getting lost in their own scope, and Lightstep suffers from this halfway through its five issue run. At times this issue can feel directionless or like it is going nowhere. Luckily, Slavkovic’s breathtaking artwork always manages to carry on the plot. Regardless of flaws, I think I shall keep with this series and see where all of this is heading. Milos Slavkovic provides an adequate, middle of the road issue that leaves a strange taste in your mouth. The art continues to astound. The plot feels too big at times. Some of the themes will fly over a casual reader's head.